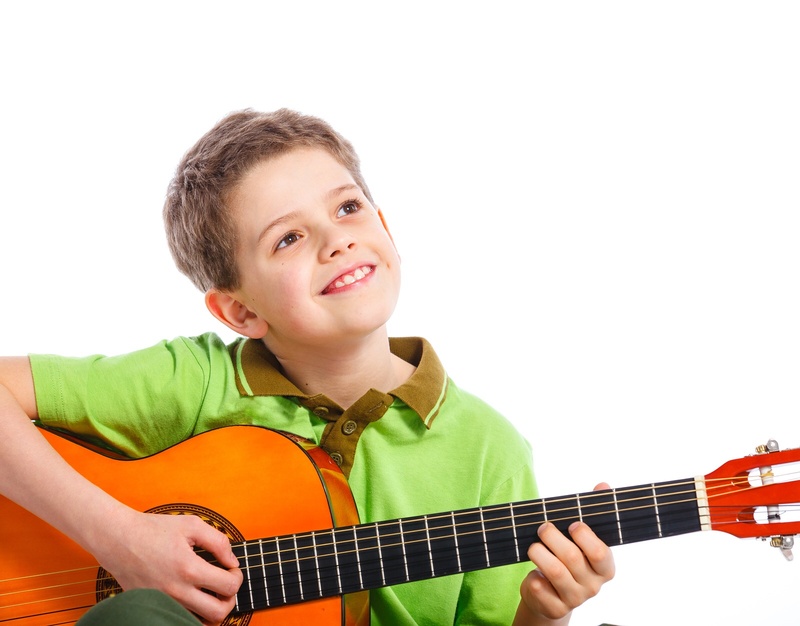 Getting your kids into playing the guitar shouldn’t be that difficult if you know how to approach it – however, there are some things you must consider carefully before that, such as your choice of guitar. Guitars for children come in various sizes, and picking the right one is crucial for setting the right foundation for your kid’s learning process. Guitars come in half sizes as well as ¾ variations, and in order to pick the one that suits your kid most, the two most important factors to take into account are the height of the child’s torso as well as their arm length. Don’t make the mistake of considering that your kid will have no problem starting out on a larger guitar as they’ll grow up and feel more natural with it – it will actually prevent the child from learning the basics properly and ruin the whole process from then on. In most cases, half-size guitars will be most suitable for kids under 5 years of age, and for those in the 5-10 range a ¾ guitar should be just perfect. Something else to keep in mind is that 3/4 guitars are also offered in varying lengths – 34” and 36”, with the first being suitable for ages 5-8 and the latter more appropriate for 7-10 year old kids. Don’t hold back on spending a few extra bucks to get a high quality model – this will be very important later on, as low-quality guitars typically need constant tuning and their sound isn’t very reliable in general. There are some cases when you may be able to find a high grade guitar for a low price, but these are mostly exceptions and you shouldn’t rely on them – though do look around the larger toy and guitar stores as they sometimes run promotions for products like this. For guitar lessons for your child contact Glenn Sutton at: 619-306-3664.